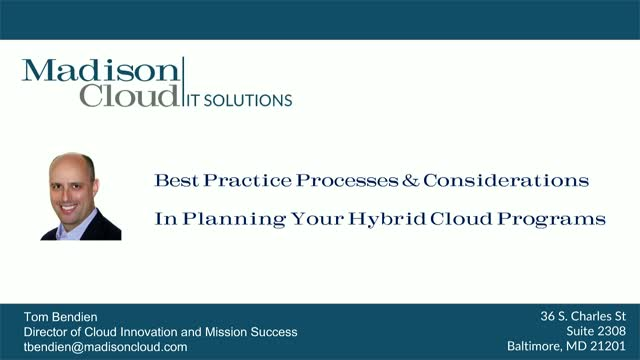 Join this live webinar with Tom Bendien, Director of Cloud Innovation and Mission Success at Madison Cloud, for an in-depth discussion on how best to plan out your hybrid cloud programs in 2019 and beyond. Hybrid cloud is multi-faceted and there are many steps to take, vendors to review, and strategies to consider. Tune into this discussion and leave with best practice processes and considerations to do so, regardless of what stage of the hybrid cloud journey you're in.